Heat the oven at 350°F. Mix the granola with the honey and cream. Fit one slice of bread in the bottom of each mold. Cover with thin slices of apple and mix with granola. Let bake for 20 minutes. Remove from the mold and enjoy fresh out of the oven. You can use dried fruits like cranberries or raisins. Tired of the usual breakfast? 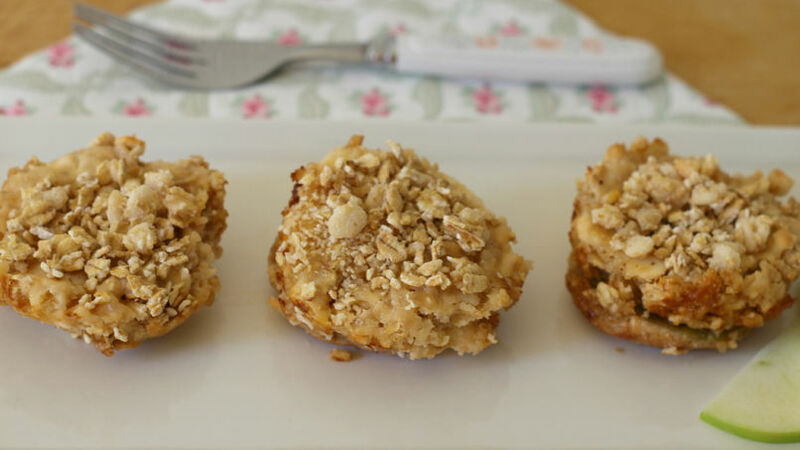 What about a different option like these apple and granola pastries? It doesn't take much time; all you have to do it put them together, let the bake and enjoy the delicious aroma. Savor each bite and enjoy the soft texture of the apples mixed with crunchy granola. A great way to start the day!